Hi there, my darlings! 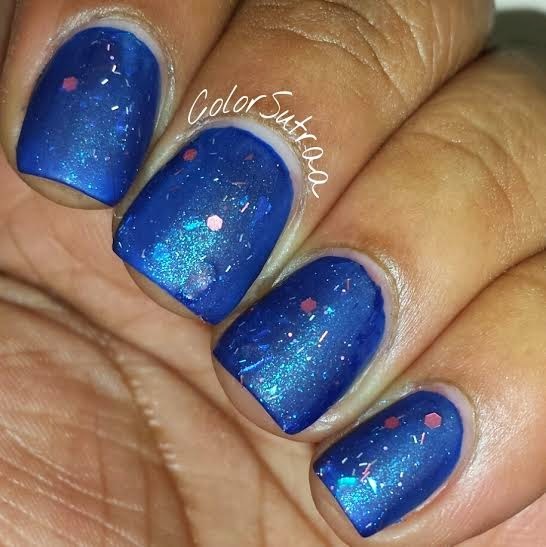 The featured Lynnderella of the week I'd like to share with you is a personal favorite of mine! 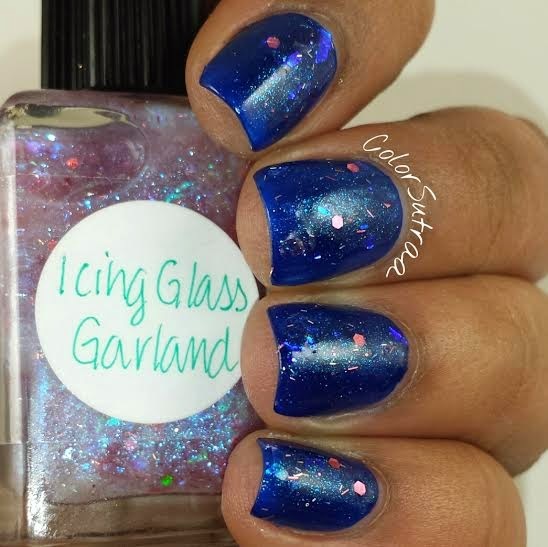 Tonight, I have swatches of the gorgeous Icing Glass Garland, a core polish that is part of the Winter 2014 collection and can be purchased easily on Ebay or Lynn's Storenvy! Icing Glass Garland "contains transparent pink and iridescent glitter shards, pink holographic hexagons—as well as pink and silver holographic icicles in a clear aqua-shimmered base." 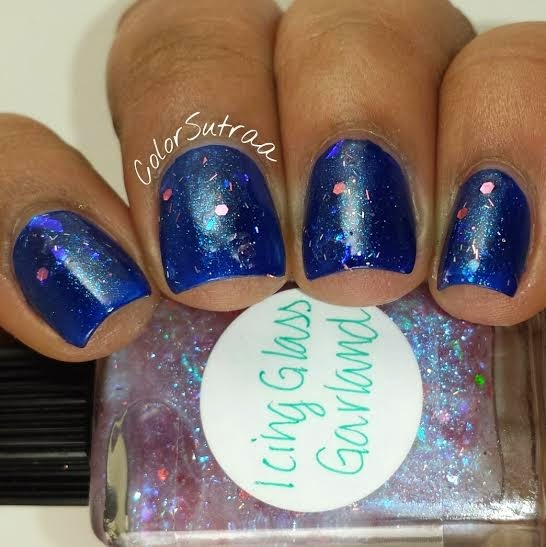 Smooth, buttery formula that applied beautifully despite the shards swimming all throughout this polish! 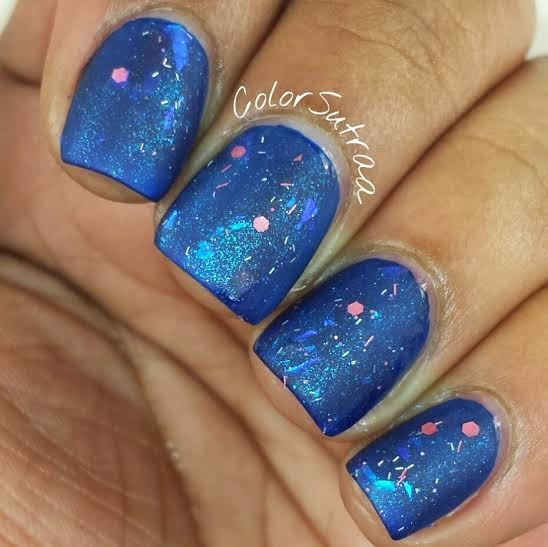 The swatches below show JUST one easy coat over 1 coat of Revlon Royale, topped with 1 thin coats of G&G's HK Girl--the aqua shimmer in this beauty really blew my mind! 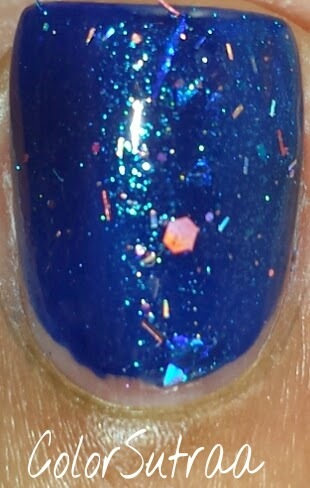 Matted with Butter London's Matte Finish Topcoat!